Annual Scientific Congress 2019 is organized by Royal Australasian College of Surgeons (RACS) and will be held during May 06 - 10, 2019 at Bangkok, Thailand. Additional details will be posted as soon as they are available. Bangkok 89th International Conference on "Medical, Medicine and Health Sciences" (MMHS- 2019 Bangkok, Thailand) is organized by Academic Fora and will be held from May 09 - 10, 2019 at Novotel Bangkok Ploenchit Sukhumvit, Bangkok, Thailand. Main Theme: “Advances in collaborative research for public Health, Medical and Medicine Sciences for better healthcare services to society” The conference will cover vital issues in medical, medicine and health sciences under multiple sub-themes. The aim of our conference is to support, encourage and provide a platform for networking, sharing, publishing and nurturing the potential growth of individual scholars across the globe. Conference Tracks and Sub-Themes: MMHS-2019 conference is a premier platform for the presentation of novel and creative research results in the fields of theoretical, and applied Medical and medicine research, Health Sciences and Public Health research & practice. The conference will bring together leading researchers, social workers and scientists , students in the domain of scientific interest from around the world. The areas of interest for submission include, but are not limited to: • Medical Science • Health Science • Public Health Additional details will be posted as soon as they are available. Bangkok 90th International Conference on "Medical, Medicine and Health Sciences" (MMHS- 2019 Bangkok, Thailand) is organized by Academic Fora and will be held from May 22 - 23, 2019 at Novotel Bangkok Ploenchit Sukhumvit, Bangkok, Thailand. Main Theme: “Advances in collaborative research for public Health, Medical and Medicine Sciences for better healthcare services to society” The conference will cover vital issues in medical, medicine and health sciences under multiple sub-themes. The aim of our conference is to support, encourage and provide a platform for networking, sharing, publishing and nurturing the potential growth of individual scholars across the globe. Conference Tracks and Sub-Themes: MMHS-2019 conference is a premier platform for the presentation of novel and creative research results in the fields of theoretical, and applied Medical and medicine research, Health Sciences and Public Health research & practice. The conference will bring together leading researchers, social workers and scientists , students in the domain of scientific interest from around the world. The areas of interest for submission include, but are not limited to: • Medical Science • Health Science • Public Health Additional details will be posted as soon as they are available. Aesthetic Medicine Training: Step 1 is organized by American Board of Aesthetic Medicine (ABAM) and will be held from Jun 07 - 09, 2019 at Thailand - ABAM Regional Training Center, Bangkok, Thailand. The target audience for this medical event is Physicians (M.D. / D.O. ), Nurses, Physician Assistants, and Dentists. 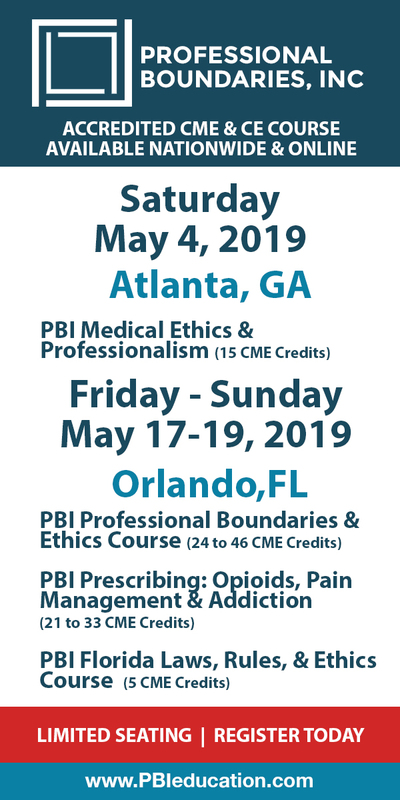 This Conference has been approved for a maximum of 19.25 CME Credits. 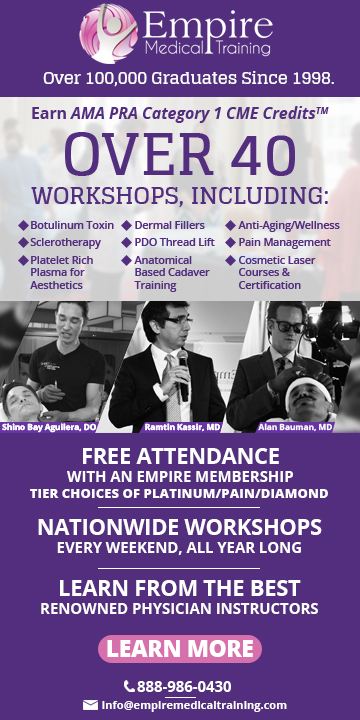 Upon completion of the American Board of Aesthetic Medicine (ABAM)’s comprehensive Step 1 training, participants will gain enough knowledge and basic techniques to complement their current practices with aesthetic medical procedures (Botox, Restylane/Juvederm/Radiesse, Laser/Light therapies, IPL, Radiofrequency/RF, Chemical Peel) or to start a stand-alone medical spa practice. A Certificate in Aesthetic Medicine will be issued by the American Board of Aesthetic Medicine on completion of all course work Step 1 training will entail basic knowledge in skin and hair anatomy, basic botox techniques, basic demalfiller techniques, basic laser and light therapy techniques, laser and light devices safety, the business of aesthetic medicine, and office set up for aesthetic medical procedures. We are the only aesthetic medicine training program to offer hands-on training and demonstration in an actual medical spa setting. Tour of a functioning medical spa will also be given. Our graduates from the Step I aesthetic medical training will have the necessary knowledge and confidence to start practicing in the exciting field of aesthetic medicine. Additional details will be posted as soon as they are available. Advanced Aesthetic Medicine Training: Step 2 is organized by American Board of Aesthetic Medicine (ABAM) and will be held from Jun 10 - 12, 2019 at Thailand - ABAM Regional Training Center, Bangkok, Thailand. The target audience for this medical event is Physicians (M.D. / D.O. ), Nurses, Physician Assistants, and Dentists. This CME Conference has been approved for a maximum of 19.25 CME Credits. Graduates of The American Board of Aesthetic Medicine (ABAM)’s Step 1 program or those who already have the basic skills in aesthetic medicine can participate in our Step 2 training. Participants will increase their knowledge in aesthetic medicine and acquire the newest and most up to date aesthetic techniques. Facial contouring using botox and dermal filler, and advanced laser and light therapy procedures will enable graduates of our Step 2 to take their skills in aesthetic medicine to the next Step. Step 2 Botox training will cover procedures such as botox eyelift, scar reduction with botox, botox treatment for gummy smile. Dermal filler training will include aesthetic medical procedures such as teartrough injection, nonsurgical nasal augmention using Radiesse/ Juvederm/Restylane, cheek and facial contouring. Advanced laser training will consist of combination skin rejuvenation techniques, treatment of vascular conditions, and Photodynamic therapy (PDT). An in depth coverage of basic surgical techniques and equipments for office aesthetic procedures will be offered. Basic dermatology and teeth whitening for the medical spa setting is an integral part of our Step II Aesthetic Medicine Training program. Additional details will be posted as soon as they are available. Bangkok 91st International Conference on "Medical, Medicine and Health Sciences" (MMHS- 2019 Bangkok, Thailand) is organized by Academic Fora and will be held from Jun 11 - 12, 2019 at Novotel Bangkok Ploenchit Sukhumvit, Bangkok, Thailand. Main Theme: “Advances in collaborative research for public Health, Medical and Medicine Sciences for better healthcare services to society” The conference will cover vital issues in medical, medicine and health sciences under multiple sub-themes. The aim of our conference is to support, encourage and provide a platform for networking, sharing, publishing and nurturing the potential growth of individual scholars across the globe. Conference Tracks and Sub-Themes: MMHS-2019 conference is a premier platform for the presentation of novel and creative research results in the fields of theoretical, and applied Medical and medicine research, Health Sciences and Public Health research & practice. The conference will bring together leading researchers, social workers and scientists , students in the domain of scientific interest from around the world. The areas of interest for submission include, but are not limited to: • Medical Science • Health Science • Public Health Additional details will be posted as soon as they are available. Fellowship in Aesthetic Medicine is organized by American Board of Aesthetic Medicine (ABAM) and will be held on Jun 13, 2019 at Thailand - ABAM Regional Training Center, Bangkok, Thailand. The target audience for this medical event is Physicians (M.D. / D.O. ), Nurses, Physician Assistants, and Dentists. Fellowships are issued by The American Board of Aesthetic Medicine to physicians with passing scores on the written fellowship examination. To qualified for the examination, candidates must have completed Step 1 & Step 2 aesthetic medicine training from ABAM, and have a 6 months practicing period. One case each of dermal filler injection, botulinum injection, and skin resurfacing are required to be submitted prior to the examination. A Fellowship from ABAM let the patients khow that his/her physician is knowledgeable and has undergone proper training in the practice of aesthetic medicine. Written Examination: 4 Hours. Additional details will be posted as soon as they are available. Anti-Aging Medicine & Stem Cell Therapy: Step 3 is organized by American Board of Aesthetic Medicine (ABAM) and will be held from Jun 13 - 15, 2019 at Thailand - ABAM Regional Training Center, Bangkok, Thailand. The target audience for this medical event is Physicians (M.D. / D.O. ), Nurses, Physician Assistants, and Dentists. This CME Conference has been approved for a maximum of 21.75 CME Credits. A 6 months waiting period is required after completing Step 2 before Step 3 can be taken. Knowledge in Anti-Aging Medicine and Stem Cell Therapy is essential for today’s aesthetic and cosmetic physicians. More and more patients are either seeking anti-aging treatment or are already receiving anti-aging therapies. Step 3 is the final training program for participants in the process of obtaining Board Certificcation from The American Board of Aesthetic Medicine. It is also designed for those who would like to add Anti-Aging Medicine & Stem Cell Therapy to their current practices. Basic concept in stem cell therapy and hormone replacement will be thoroughly covered in this 3 days program. Participants will receive the most current knowledge in hormone replacement for the management of aging. Evaluation of the aging patient, the female hormonal system, stem cell fucntions, stem cell harvesting, nutrition, and fitness are thoroughly covered. Additional details will be posted as soon as they are available. Board Certification in Aesthetic Medicine is organized by American Board of Aesthetic Medicine (ABAM) and will be held on Jun 16, 2019 at Thailand - ABAM Regional Training Center, Bangkok, Thailand. The target audience for this medical event is Physicians (M.D. / D.O. ), Nurses, Physician Assistants, and Dentists. Board Certifications are issued by The American Board of Aesthetic Medicine to physicians with passing scores on the written board examination. Completion of Step 1, Step 2, and Step 3 aesthetic medicine training from ABAM is a requirement regardless of previous experience. Delegates will take Step 1 and Step 2 after which there is a required 6 months waiting period before Step 3 can be taken. 6 months practicing period is mandatory after completing all 3 Steps. During the practicing period, delegates will have to collect and submit 1 case from each procedure of dermal filler injection, neuromodulator injection, and laser or chemical resurfacing before they can sit for the Board Examination. Board Certification is a milestone for a physician in the field of aesthetic medicine. Patients are assured that physicians in possession of Board Certification from The American Board of Aesthetic Medicine have met the highest standard in the field. Written Examination: 4 Hours. Additional details will be posted as soon as they are available. Bangkok 92nd International Conference on "Medical, Medicine and Health Sciences" (MMHS- 2019 Bangkok, Thailand) is organized by Academic Fora and will be held from Jun 20 - 21, 2019 at Novotel Bangkok Ploenchit Sukhumvit, Bangkok, Thailand. Main Theme: “Advances in collaborative research for public Health, Medical and Medicine Sciences for better healthcare services to society” The conference will cover vital issues in medical, medicine and health sciences under multiple sub-themes. The aim of our conference is to support, encourage and provide a platform for networking, sharing, publishing and nurturing the potential growth of individual scholars across the globe. Conference Tracks and Sub-Themes: MMHS-2019 conference is a premier platform for the presentation of novel and creative research results in the fields of theoretical, and applied Medical and medicine research, Health Sciences and Public Health research & practice. The conference will bring together leading researchers, social workers and scientists , students in the domain of scientific interest from around the world. The areas of interest for submission include, but are not limited to: • Medical Science • Health Science • Public Health Additional details will be posted as soon as they are available.